On protests, Trump goes from defiant to conciliatory in 96 minutes. 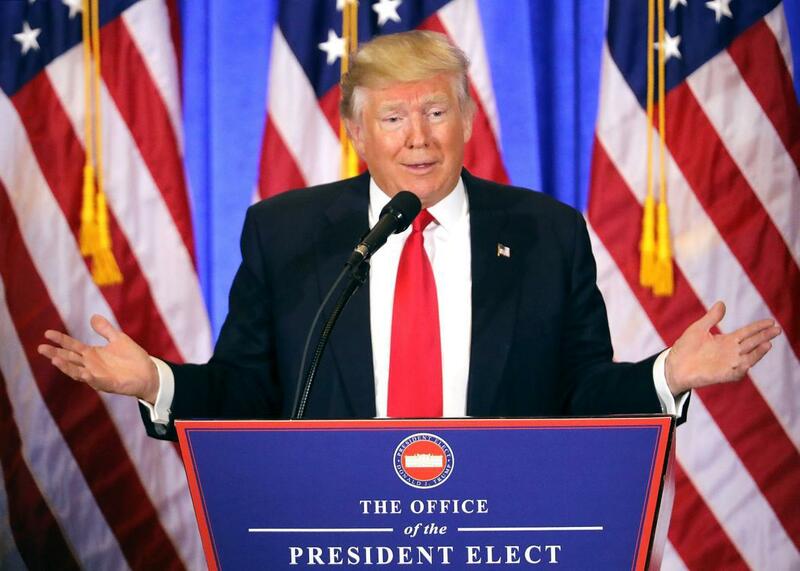 Donald Trump speaks at a news cenference at Trump Tower on January 11, 2017 in New York City. Trump and his administration spent a significant portion of his first full day in office complaining the media had maliciously underestimated the number of people who attended his inauguration.